"I can't stop drinking the coffee. If I stop drinking the coffee, I stop doing the standing and the walking and the words putting into sentence doing." 1. 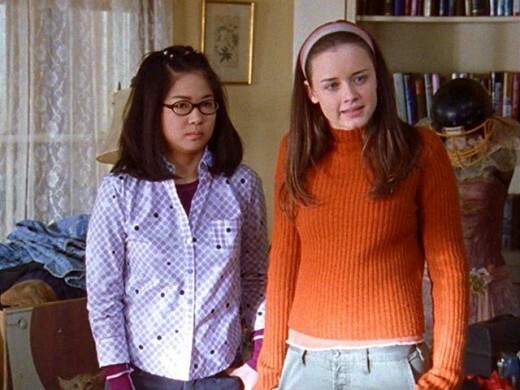 Prior to being cast as Rory, Alexis Bledel had no other acting experience. Her only other role was as an uncredited extra in Wes Anderson's Rushmore. The actress was a student at NYU and was also modeling part time when she booked the role of Rory. 2. 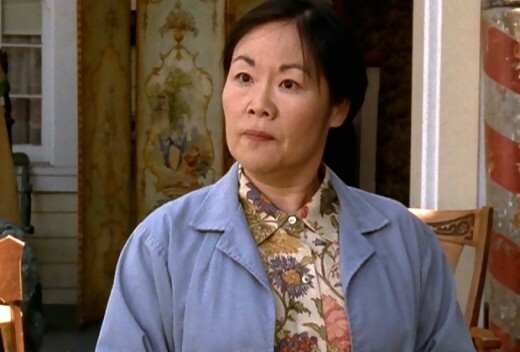 Emily Kuroda (Mrs. Kim) is not actually Korean and was born in Fresno, California. Her first language is English and Kuroda doesn't speak with the thick accent she does on television. 3. Keiko Agena (Lane) was actually 27 when the show first premiered. She was only six years younger than Lauren Graham (Lorelai), though on the show their characters had a 16 year age difference. 4. Creator Amy Sherman-Palladino wrote Jess onto the show in order to prevent Luke and Lorelai from dating yet. Of the decision, she had said, "We're dealing with two people who, if they just opened their eyes and stared across the table at each other, would go, 'Oh sh--, it's you. So when you're playing that game, you have to find obstacles that are real to put in their way." 5. Many of the show's cast left to star in other television shows. Chad Michael Murray (Tristan) was shipped off to military school so he could be on One Tree Hill, Jared Padalecki (Dean) went on to star in Supernatural, and Adam Brody (Dave) left Stars Hollow for California to join The O.C. 6. 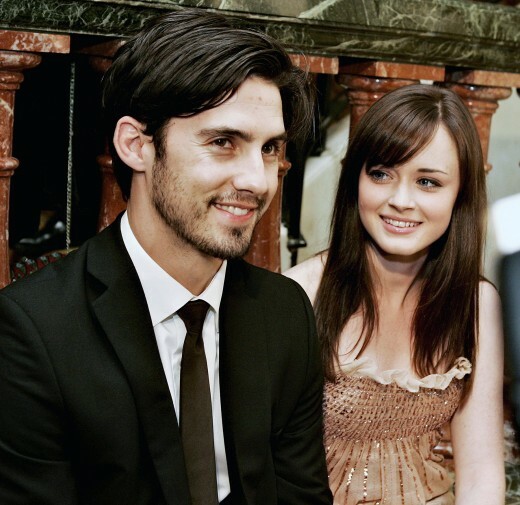 The chemistry between Rory and Jess was obvious from the start, probably because Alexis Bledel and Milo Ventimiglia famously dated during much of the show's run. The pair called it quits in 2006 after four years. 7. Originally, Luke was supposed to be played by a woman named Daisy. 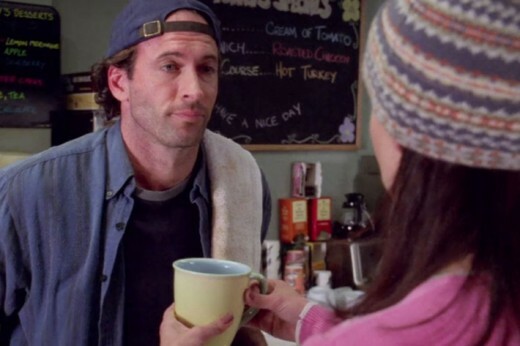 However, the network didn't feel there were enough men on the show and wanted more romantic entanglements, so Daisy became Luke, Lorelai's coffee enabler and future love. 8. Luke famously wears a baseball cap throughout the course of the show, which is a reference to his previous career. Scott Patterson played in the minor leagues for the Yankees, Rangers and Dodgers before appearing on the show. 9. 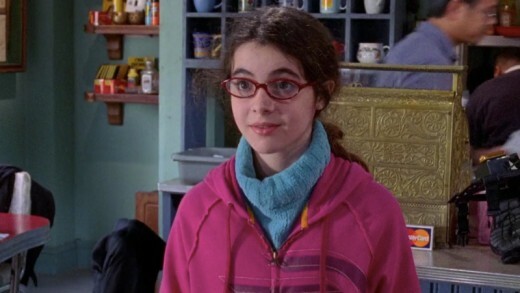 The character of April did not go over well with most fans, and many believe she served as an intentional plot device meant to destroy Luke and Lorelai's relationship. Fans felt the show "jumped the shark" with her addition. It was during this time the show's creators the Palladinos were in a contract dispute and would ultimately leave Gilmore Girls. 10. The show's tagline is "Life's short. Talk Fast", and was named this for a reason. The average script is double the length of a standard TV script. 11. 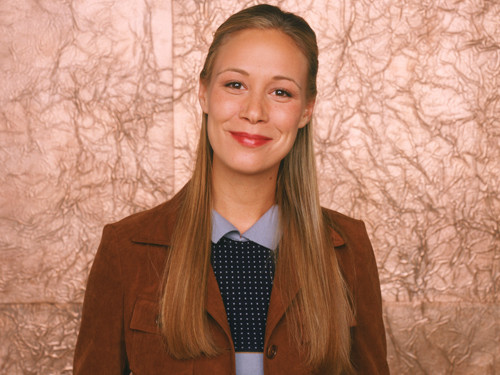 The character of Paris was specifically created for Liza Weil by the show's producers. Weil had originally auditioned for the role of Rory, and while she didn't get the part the producers like the actress so much they created Paris: Rory arch-nemesis turned surprising friend. 12. 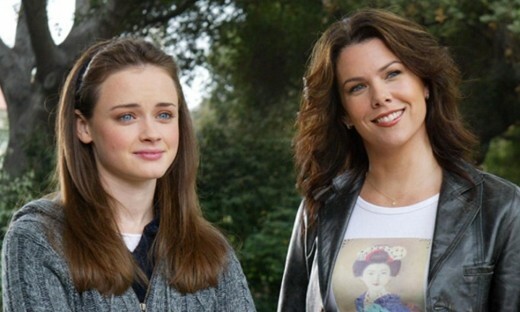 In the first season, Lauren Graham (Lorelai) wraps her arms around Alexis Bledel (Rory) multiple times throughout the show. This is because Bledel had no acting knowledge and Graham was guiding her to the correct standing positions during filming. 13. Melissa McCarthy almost wasn't cast as the lovable Sookie. 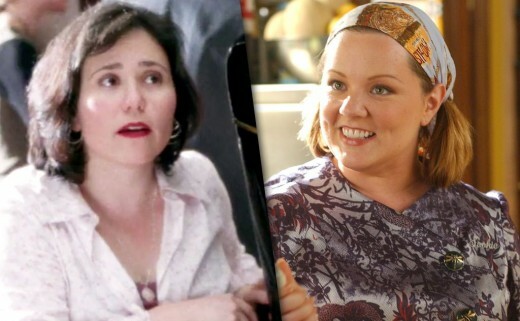 Alex Borstein was originally cast as Lorelai's best friend, but had to back out due to a contract with MADtv. However, she would go on to make numerous cameos on the show. Interestingly enough, at the time Borstein was married to Jackson Douglas, who played the character Jackson Belleville. 14. 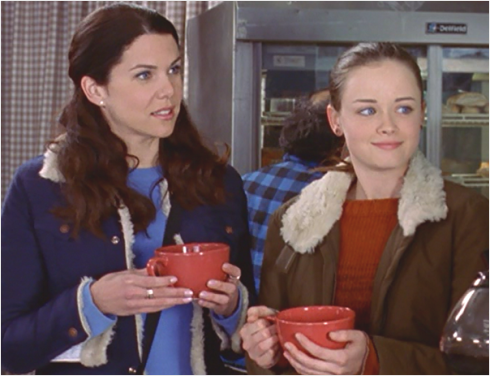 The Gilmore Girls are known for their love of all things coffee. Surprisingly, Alexis Bledel hates the beverage and instead of chugging coffee, Rory was actually drinking Coca-Cola. 15. A whopping 339 books were referenced throughout the show's seven season run. 16. 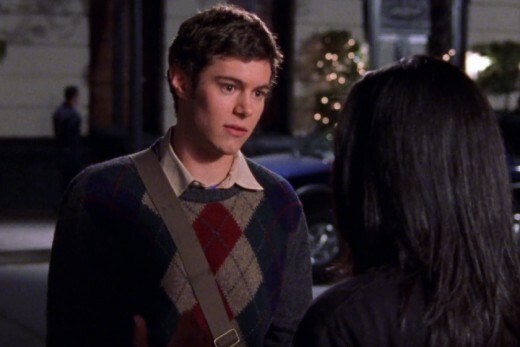 Gilmore Girls is known for its constant pop culture references, but even the actors didn't always understand what they were rambling on about. Lauren Graham was once asked if she understood all the references her character Lorelai made, and had said, "If I didn't, I'd look them up. Part of being an actor is research!" 17. 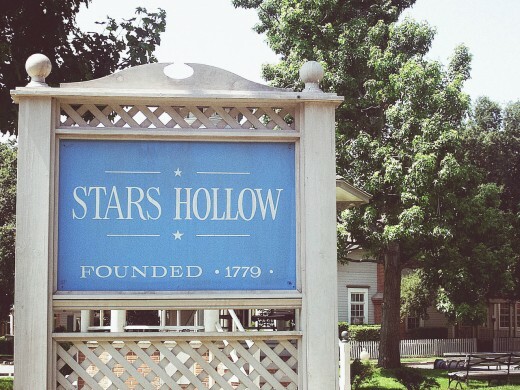 The atmosphere of Stars Hollow was based on a real place that Sherman-Palladino visited: the village of Washington Depot, Connecticut. 18. Alexis Bledel's first language is actually Spanish, and didn't learn English until she was in elementary school. Keiko Agena was born in Hawaii and is actually Japanese, not Korean like her character. 19. Kelly Bishop (Emily Gilmore) won a Tony award for her performance in A Chorus Line, and Emily's love for musicals is a nod to this fact. 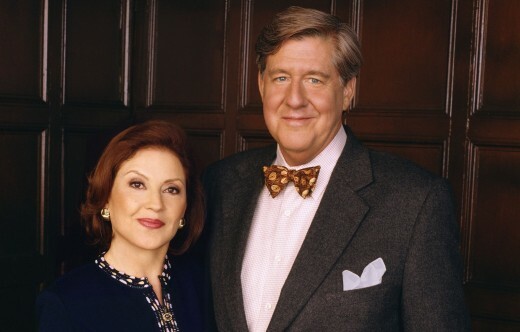 Interestingly, Edward Herman (Richard Gilmore) won a Tony that same year for his role in Mrs. Warren's Profession. 20. 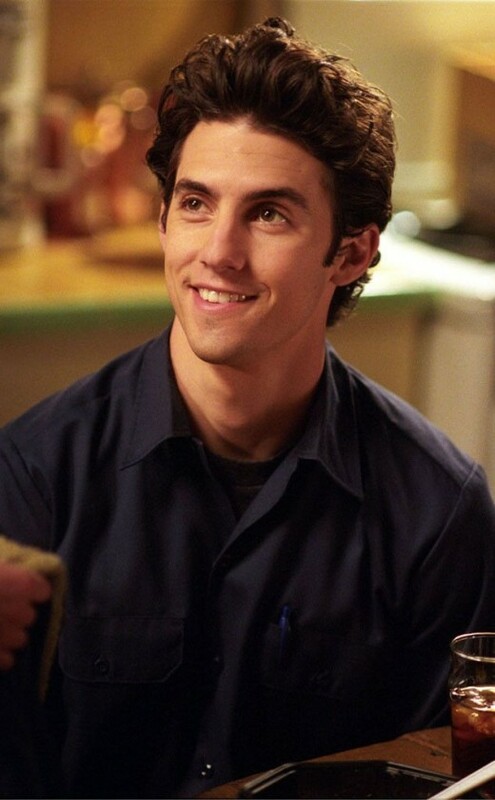 Milo Ventimiglia was initially only supposed to be on the show a handful of times, but the producers loved him so much they offered him a six-season contract. 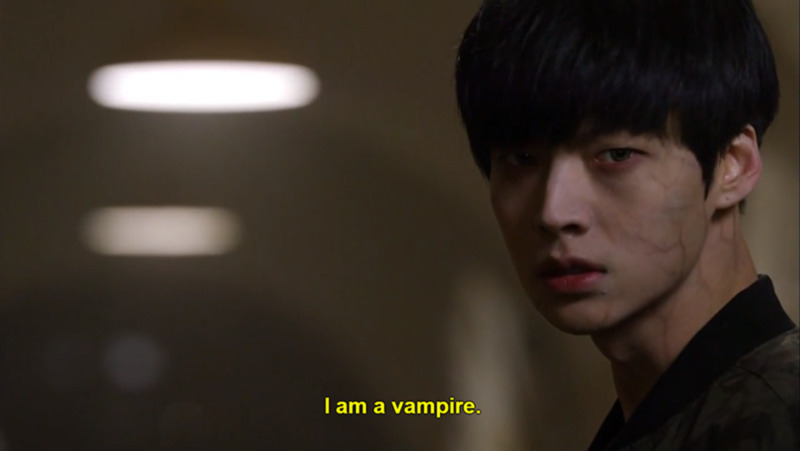 The actor accepted one for two seasons. 21. The show brought in a dialogue coach in order to make sure the cast was speaking at a proper pace, which resulted in upwards of 20 takes per scene. 22. According to the actress who played Gypsy, Rose Abdoo, the character had a crush on Lorelai. She explained that whenever the two were together, Gypsy would become very excited and was Team Lorelai when Lorelai and Luke broke up. 23. 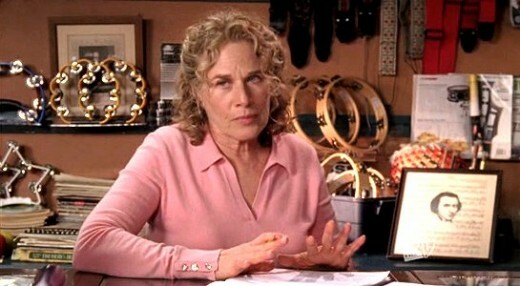 Carole King, who sings the show's theme song, appears in several episodes as the owner of the music store where Lane practices playing drums. 24. The studio spent a massive $20,000 in order to use John Lennon's "Oh My Love" during episode 16 of Season 1: "Star Crossed Lovers and Other Strangers." 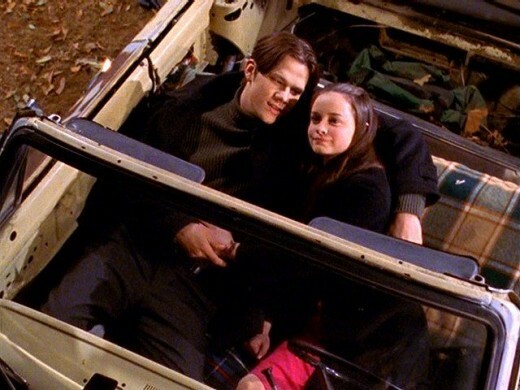 The episode was when Dean built Rory a car and tells her he loves her, but Rory wasn't able to reciprocate. Yoko Ono had to review the script and tapes for the episode before she gave it the green light. 25. 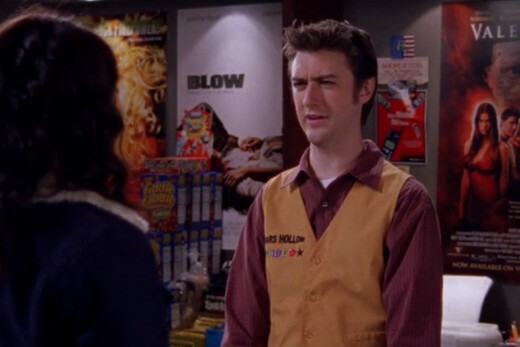 During the course of the show's seven seasons, Kirk (Sean Gunn) had a total of 62 different jobs. Gunn's favorite job was when he was a sports announcer for a hockey game.